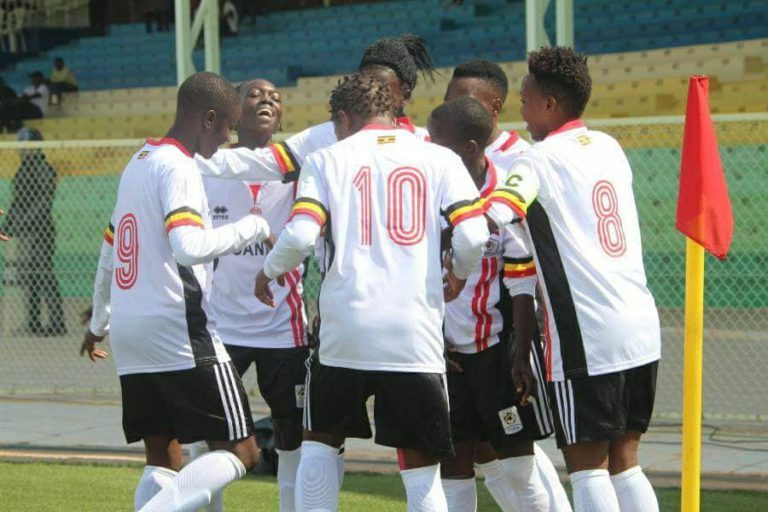 SOUTH AFRICA – The Uganda Crested Cranes finished third at the 2018 COSAFA Women’s Championship in South Africa. This was confirmed on Friday afternoon after Faridah Bulega’s side defeated Zambia 1-0 in the third-place playoff match played at the Wolfson Stadium in Port Elizabeth. The all-important goal was scored by Tracy Akiror via a first-half penalty. Bulega made only one change to the team that lost 2-0 to hosts South Africa in the semi-final. CECAFA wonder kid Juliet Nalukenge started ahead of Zaina Namuleme. Despite a nervy start by both sides, Cranes Captain Akiror fired Uganda into the lead on 32 minutes when she converted from the spot after Nalukenge was brought down inside the penalty area. In the second half, Bulega made two changes-introducing Hasifah Nassuna for youngster Lillian Mutuuzo and Namuleme for Resty Nanziri to try and see out the game. Despite efforts from Zambia to level matters, the Crested Cranes remained resilient up to the final whistle, sealing a historic victory at the competition. This was Uganda’s third victory at the championships after defeating Swaziland 4-3 and Zimbabwe 2-1 earlier on in the Group stages. The Cranes will come back home with their heads held high as they lost only one of their five encounters in a competition that they featured in as guests. They made history as the guest team to finish highest at the competition, finishing one place ahead of Kenya who lost their third-place playoff game in the last edition. Uganda and Kenya are joined by Tanzania as the only three CECAFA countries to ever take part in the South African competition. Their only loss at this year’s championships came at the hands of defending champions South Africa who eliminated Bulega’s side at the semi-finals’ stage on Wednesday afternoon. This was the Crested Cranes’ second major competition this year after finishing second at the CECAFA Women’s Championship in Rwanda two months ago. The final between South Africa and Cameroon will be played on Saturday afternoon. Ruth Aturo,Viola Namuddu,Grace Aluka,Shadia Nankya, Tracy Jones Akiror, Lillian Mutuuzo, Phiona Nabbumba,Juliet Nalukenge, Resty Nanziri,Shamira Nalujja.